Submitted by hussam on Monday 9th of June 2014 01:45:50 PM. Submitted by Deathspawner on Monday 9th of June 2014 06:25:46 PM. I miss seeing Susan around here, but you've done well to keep the site active and interesting. 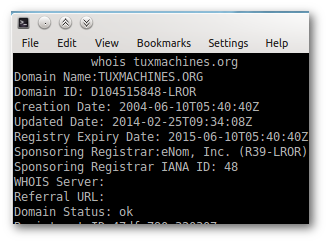 Long live Tux Machines! Submitted by vtel57 on Saturday 5th of July 2014 05:03:19 AM. srlinuxx will ALWAYS waddle the waddle! She'll be very missed. I hope she logs in occasionally and lets her fans know she's still kickin'. Dr. Roy and Rianne are doing a great job of keeping the Tux Machine will oiled and running efficiently. Looking forward to many years of informative reading and interaction here.